Serial Experiments Lain won the Excellence Prize in the 1998 Japan Media Arts Festival. It has been subject to commentary in the literary and academic worlds such as the Asian Horror Encyclopedia and The Problem of Existence in Japanese Animation by the American Philosophical Society. Introduction: I find myself typing this review thinking more about the conceptualization of existence, than the anime itself. Above all, there are two standards I hold true for anime. There are anime that simply entertain for the sake of enjoyment, and there are anime that stretches the boundary of human imagination. Serial Experiments Lain falls in the latter category and for this reason Serial Experiments Lain stands out as a true classic. Serial Experiments Lain pushes the envelope of what the perceived notion of what can be done with television as a medium. The show doesn&rsquo;t just provide entertainment; it provides insight, and profound views and beliefs about technology and the role it plays in society. With that said it's time to get on with the review. Story: Given that Lain&rsquo;s story progression is very disjointed, if the execution were to be even off by the slightest, the show would have been ridden with plot holes. Lain however doesn&rsquo;t need worry about plot and story in the same sense as other anime, but instead relies on the atmosphere and the characters to tell the story. What little plot Lain does have, the show works with it fabulously. Now some may argue that Lain is completely plot driven, but to each his own. Personally I believe that Lain strays as far as it can from bland episodic story telling, and in essence is similar to Citizen Kane in the aspect that the story has little to do with the show. Lain above all is a character study, and the plot only moves forward under the characters. Art: Despite the art being off center in terms of traditional anime, it hardly deters from the overall enjoyment of the series. It is important to note that the series actually benefits from the unique art style presented in Lain. Art is not a big pulling factor for Lain, so if you are a fan of high quality art, you may be in for a rough ride. Sound: The series relies on a minimalist approach to sound and music. Dialogue is sparse, but very profound. Sound effects are seldom used but with brevity, and has a lasting impact on the viewer. Once again, this lack of a quality that would normally be detrimental to an anime&rsquo;s enjoyment, but becomes one of Lain&rsquo;s strengths. The sound of the electricity running through power lines, the empty sound of Lain typing on her keyboard, and the scarce use of music. These are all memorable pieces of sound effects that adds to the overall impact of the show. Character: Now this is where Lain shines brightest. In a vast wasteland of mundane same-old, Lain sticks out as an anime that takes its characters to a level that most anime can only dream of achieving. The character of Lain is perhaps the most deep and relevant characters in anime today. To explain upon this point, one would have to watch the series and comprehend the various themes and motif&rsquo;s on one&rsquo;s own. But in order to be brief, Lain&rsquo;s character can be summarized as ascending from human status, to near God like power through the prowess of the internet. Ahem, I mean, &ldquo;The Wired.&rdquo; It&rsquo;s a simple concept and seems like it has been done before, giving credit to the argument, and it probably has. But the beauty here is the cast of side characters that surround Lain. Her sister, her father, mother, and friends, are all extremely deep characters, that although don&rsquo;t appear to be, are actually extremely poignant in their own right. Enjoyment &amp; Closing: If watched with an open mind, Lain will do more than simply entertain. It is truly revolutionary anime for its time, and the amount of depth in the show is utterly staggering. Never in my years of watching anime have I seen a show as thought provoking as Lain. If one were so inclined to contact me, we could talk for hours upon hours of the religious symbols, and religious references that run about the shows course. We could then change the subject to comparing Lain&rsquo;s character to that of philosophy of the Jungian Shadow. We could converse and discover deeper and more universal meanings as time progressed. Lain is such a show that the viewer doesn&rsquo;t just watch it. The viewer must be pushed to think, and who doesn&rsquo;t want to do a bit a of thinking once in a while? What really scares us? Death or the oblivion? Of course, the oblivion. It is not dying itself that frightens us the most, but rather knowing that we will lose everything we loved and cared for. All of the memories we've treasured, the choices we've made and the people we've touched; everything will cease from existence. So why do we treasure our past so much? Is that just a collection of memories the nostalgia bounds us to, or is it the part of who we are? Serial Experiments Lain is not your average show, and definitely not something you run into every day. It is a unique piece of entertainment that completely transcends its genre, and presents itself as a work of art. An avant-garde show, not restraining itself to the boundaries of traditional storytelling and plot building, creating a completely unique and revolutionary piece of media. This anime series is NOT for everyone. One of the reasons this show is popular even now, two decades after its initial release, is because its plot is still not completely figured out. The story is told in a rather convoluted fashion, which makes the already complex plot even harder to interpret. Lain is one of those shows that require the viewer to pay full attention to every detail, and challenging them to put all the pieces together to grasp the content of the story. The theme portrayal in this series only becomes more relevant even now, that the use of technology and internet is becoming larger. A nearly prophetic story of what will happen if the lines of reality and virtual world start to blur. Not only does the show do an excellent job at connecting its elements with its heavy commentary on psychology, sociology and technology, but it also has a very striking approach to the themes of human connection and loneliness, and overall an exploration the existential self in relation to the world. it raises a series of very thought provoking and intellectual questions about identity, existentialism, and religion. The show is also very famous for its mind-bending thoughts about reality, evolution and the existence of God. Lain's narrative is rather cryptic, meaning that nothing is told to the viewer directly, but rather gives them the undertone hints and pieces that, combined, make the story. The story is devoided of any dialogue or character's inner monologue, not allowing the viewer to know more than they should, giving them a strange sensation of being lost, and forcing them to search for answers. Due to the absence of dialogues, the show relies heavily on its visual presentation. It tells its story through massive, yet subtle use of symbolism and visual keys. The series is rich of surreal and expressive imagery, with commonly metaphorical content. In terms of characters, there are just the two worth mentioning, with one being far more relevant than the other: Lain and her best friend, Alice. They represent the two sides of the same coin, or, in this particular show, a physical world, and the virtual one. Lain is a lonely, shy, and seemingly depressed middle-school girl, who also suffers from a split personality disorder. She is used to portray most of the show's themes, one of them being a demonstration of the internet's ability to split ones personality, creating a whole different person online. Alice, on the other hand, is much more down-to-Earth, realistic and communicative. Her character is used to resemble reality, and common sense in general, but she is also the key trigger in Lain's development. Also, even though other characters have an important role in the story, and are used as a symbolical representation of a certain element the show portrays, they aren't as significant as the two aforementioned are. What i think is the strongest point of SEL's characters is the manner in which their characterization is done. As a fairly good compensation to show's lack of dialogue, Lain's characters aren't defined through cheesy lines or forced exposition conversations, but rather through their very actions. The show can clearly depict the character with little to no dialogue, only through visual presentation of characters reactions, movement and behavior. In an essence, 'show' is of a far greater value than 'tell' in visual media, and SEL follows that rule in a nearly flawless manner. From the technical sides, even tho the show lacks budget and doesn't have as much production value as most of the shows nowadays do, it still managed to use this in its advantage. The character designs are much more realistic and humanoid than most of the series. They are devoided of any abstract, but very commonly seen elements, such as weird and unique hair styles, unnatural hair colors, huge eyes and so on. This is due to the fact that the show wanted to make itself closer to the viewer and make them project themselves to the characters easier, but also to set a certain border of reality. In a show where so many surrealistic things happen there must be a certain sense of realism so the viewer can actually see what the paranormal happening is. Also, due to the lack of budget, the backgrounds in the scene have minimal amounts of details, and a somewhat inconsistent animation. This allows the author to literally point out elements the viewer should pay attention to. The show also uses lots of repetitive sequences, like the cityscape scene from the beginning of each episode. This is also used quite well, combined with new monologue each episode that really help a lot in the theme exploration. The show uses a very murky color pallet, with two different sets of colors: the deep blue tone, and a thick yellow and nearly sepia tone. This is not only used to locate the time of the happening, which is usually at night or twilight, but also used to switch tones and suggest a certain mood change in a scene. It is very noticeable that the show lacks music, probably due to the lack of budget. In this certain show, this is by no means a flaw. For a such a cryptic and mysterious show such as SEL, the absence of music creates a very unique atmosphere. The over-present silence and sometimes a quiet, but sharp techno sound absorbs the viewer in a world shrouded in absolute mystery, creating an atmosphere that perfectly complements the viewer's feel of being lost. But also, surprisingly enough, such lack of music and creating an absorbing ambient can be use very well when invoking drama. For example, a sudden hard techno bass after a long period of silence can help in creating a sense of tension, and also signifying to the viewer that he should pay attention to the plot point. This can also work the other way around, when the omnipresent background musing is rashly interrupted by silence, creating a very clear tone contrast. Serial Experiments Lain is one of the greatest anime shows ever made, and a personal favorite of mine. It takes an absolute focus on singularity, developing its themes beyond the limits, and pulls the maximum out of its platform for storytelling. It has some of the most aggressive and infinitely deep theme explorations ever put in any sort of media. Its story is complex, intriguing, and somewhat immersive, with thousands of plot-twist, fascinating narrative style, and unparalleled and grounded thematic side. A thoughtful and unique 13-episode experience that can only be described as an onslaught of brutal mindfucks, digging deep into the core of your brain. A perspective-changing brain-basher introducing a completely new look onto this so called "reality". Serial Experiments Lain is a paragon of many dimensions, and completely unparalleled in many more. It's a masterpiece of intellectuality, and utterly unparalleled in providing a mind-warping trip into extreme psychological and philosophical themes whose impact lingers and haunts like nothing I've ever experienced. This is going without saying that Serial Experiments Lain is one of the most inaccessible creations of art to grace the medium of Animation, and it is difficult to even describe its complexity. There is a broad range of ideas, all of which have massive depth in their facets, which could all be focused on as a main point. Generally, these themes involve technologies impact on society, thorough deconstruction of the internet, the psychology of an impersonal god, Etcetera. In addition, the massive breadth of theoretical possibilities to many of the open-ended points in Serial Experiments Lain's plot and themes is without limit. There is more things to breakdown and go into detail than could ever be summed in a simple article, especially considering the more subjective aspects. What I will going into is the realistic nature of the setting and plot of Lain, the mechanics of the show, and ultimately to the madness that lies within the later themes of Serial Experiments Lain. Concerning the plot of the first half of the show, the delivery is extremely cryptic and mysterious. There is little aspects of the plot structure in which one definitive point is summed up, rather it's ever-evolving, chapter-less, and amorphous. Points are conveyed not through clear, upfront events, but through innumerable small details continuously revealed throughout the course of each episode. Everything is a puzzle made up of tiny little fragments of information, the bonding of each piece comprising of the viewer's continuous contemplation and theorization of what is going on, and what is next. Eventually, through no clear, definitive point, but over a general expanse of time, the big picture clicks into place. The latter half of the show, starting somewhere in the 6th episode or so, is an even higher dimension of intellectual exposition. In the first half, the themes involved with each small detail conveyed would be mentioned some way or another. The philosophical notions and ideas, as well as most of the psychological aspects, are found entirely through the viewer's own questioning. This side of the plot, which holds some of most powerful ideas and content of its genre that I've ever witnessed, are never expressed in any moment through the face-value of events that occur, but entirely through the varying levels of connotations. There are no narratives, clear explanations, or dialogue, only the viewer's ability to string together the numerous implications of events into powerful, complex systems of ideas. The methods listed places Serial Experiments Lain on a level of intellectual sophistication that is, as of this day, unrivalled. Common tropes of exposition found in mainstream Japanese animation usually involve not only singular points of very direct narratives or dialogue, but outright illogical halts to events taking place in way for spoon-feeding the audience information to degree's that outright kill immersion, or even break the 4th wall. Serial Experiments Lain is the absolute anti-thesis of this. Through the constant connotation-heavy, cryptic exposition, almost the entire burden of figuring out what is happening is placed on the intellect of the viewer. In tandem with the exposition method is the pacing of the events that occur. Particularly in the first half of the show, the pacing for the most part is slow, drawn out, and takes it's time with every detail presented. It's true that it goes over-board in this regard at some points, however, it's inextricable to success of the shows exposition method, which I will demonstrate in an analogy: If I were to present a person with a puzzle, demand it to be pieced together quickly, and then toss all pieces in the person's face, said person wouldn't make heads or tails of the puzzle. A puzzle is formulated and solved one piece at a time until the bigger picture is revealed. This illustrates the key function of the slow pacing in the show. The significance of each bit of information presented is only designated by how each scene takes its time in revealing said information. If the show were to completely scrap this pacing in way for a faster speed, nothing would be able to serve as a cue to the importance of a bit of information versus an irrelevant bit. The viewer wouldn't be able to register enough information to form a bigger picture, and the exposition as a whole would simply fail. In order for the cryptic nature of the exposition to not fall into incoherency, lengthiness of time must be utilized. Suspension of Disbelief is a critical aspect of Serial Experiments Lain. That is, the complete lack of any cause for disbelief what so ever. Before I go on about how Serial Experiments Lain achieves a grounded sense of tangible realism, and why it's so relevant later on in the anime, I'll first explain a few things about disbelief, and what too much suspension of disbelief can do to the emotional impact of an art piece. Disbelief is what naturally arises when a viewer witnesses something that is extra-ordinary, fundamentally different, or super-natural in relation to the real world the viewer lives in. Disbelief isn't necessarily a bad thing, especially if there is plenty of aspects of the show that are congruent with our own reality, or that the extra-ordinary premises are developed into some kind of sensible system I.E. if you can present a sufficient amount of science or logic behind what's happening. However, regardless if it affects the show negatively in an immediate sense, which it can very much do, inundating a viewer with material that requires vast suspension of disbelief changes the nature of the effect. Take a show like Naruto for example, where the characterizations are almost nonsensically dramatic and flamboyant. It's true that it's very entertaining to watch, but in reality, no one is going to spontaneously pass out at the sight of a tasty bowl of noodle soup, or yell at someone with so much force that they are lifted off their feet and fly ten blocks away, let alone survive. The primary flaw in a consistent need for the viewer to suspend their disbelief is that the long-term impact of the show is lessened in proportion. While suspending one's disbelief opens you up to the realm of the ridiculous and the fantastic, it also increases the emotional distance from the show and the real world. A viewer might get swept off their feet by a story about forest spirits and cosmic gods, but once we return to our daily lives, "real world" begins to over-write and obscure the emotions lingering from the experience. This is because the premises we are subjected to outside of the show have nothing in common with reality. In this regard, Serial Experiments Lain is incredible in a sense that not many show's I've seen have achieved. This quality, which is the utter lack of any cause for disbelief, is facilitated in two key ways, the first being the characterizations of the show. Just like the qualities of the expositions method (and by extension the existence of the entire plot), this is also an inaccessible part of the show. The characterizations of the show are, for lack of more interesting words, straight-forward, serious, and extremely mundane in a very "real life" way. This may seem like the shows biggest down fall, due to it lacking any sort of conventional values of humor, drama, goofy/silliness, or any sort of distinctly Japanese flavor of 'wacky'. However, these issues are only skin deep, as they, just like the plot, serve to ground the viewer in a sense of absolute realism when the later half of the show begins to take off. That is, in the moments of absolute madness, there is no point in which the idea that "this could happen to real people, or people I actually know" falters. The plot elements involving the first half of Serial Experiments Lain are absolutely crucial to formulating the basis of, as well as a sense of logic and realism to, the second half of the show, which is where the truly transcendental madness lies. In particular, the plot concerning who and what Lain Iwakura is, what The Wired is and it's functions, and what it's relationship with humanity and Lain is. It's important to note that The Wired's relationship to Lain and the rest of the Human race are drastically different. However, due to the fact that the progressions of the plot lines aren't found in singular events, but arrays of small details scattered through out each episode, there is a sort of vagueness to the origin of each idea presented in the show. This makes the subject extremely complex and difficult to even approach. The initial setting of the show centers around a junior high schooler named Lain Iwakura. Lain is a very shy, distant, and extremely detached individual. She has a group of female friends which act typical in whatever ways junior high schoolers act, and they occasionally spice up there lives by going to an underground nightclub. It's all extremely mundane and normal, until things take a turn into the unknown when strange occurrences revolving around something called "The Wired" begin to happen. Initially, the appearance of The Wired seems to be the show's equivalent to the internet, both technologically and sociologically. However, the nature of The Wired is revealed to have drastically different dimensions, mainly in the distinguishability between itself and the 'real world'. This is illustrated through quite a few events that happen through out the first 4 episodes. In the details of the first episode, one of Lain's classmates commits suicide. A period of time after Lain Iwakura discovers this, Lain starts receiving emails from her dead class-mate which claim that "she crossed over into The Wired". These emails show, somehow, that her conciousness still exists. Another series of events involve depictions of people undergoing strange hallucinations in episode 4. One of which particularly involved a teenage boy who seems to be undergoing what, on the surface, seems to be a severe hallucination of being trapped in some kind of dungeon-based video game. Ultimately, the boy ends up killing a girl he believed to be some sort of dungeon monster... What follows this is very crucial, and has vast implications. After the event, Lain is shown gathering details on the incident, and what is gathered is that the boy had desired to play a video game (called Phantoma) with in The Wired. After this bit of detail, Lain's father approaches her and engages in a dialogue, saying that Lain must remember that the only function of The Wired is to contain and transfer information, and that it's not to be confused with the real world. Lain responds with a denial of this, stating that the difference between The Wired and reality isn't clear at all. This dialogue, coupled with how the incidences involving people playing video games in The Wired, which resulted in experiences that completely blended with their perception and sense of reality, begin to point toward the nature of The Wired as something that is able to manipulate the conciousness of those who are connected to it. In the episode 5, through the fragmented dialogues involving Lain and a variety of floating puppets, it's revealed that external reality is a "Hologram" of the information contained within The Wired. Everything that 'exists' is simply centralized projections of the collective information that The Wired contains. The final progression is wrapped through two key events. The first is Lain's sister, Mika, getting into a car crash. Through some freak accident involving her connection to The Wired, Mika's mind gets duplicated into two separate instances, both of which begin to have their own experiences and become their own individuals. The second point comes much later in the show, where the exposition on the origin of The Wired, and its purpose, takes place. This exposition shows that later in the development on the technology behind The Wired, a scientist named Masami Eiri began to implement the ability for The Wired to become permanently connected to people on an unconsciousness level. The scope of this implementation was not just singular targets, but everyone on Earth. This is what is referred to as "The 7th Protocol of The Wired". So... What does it all mean? What exactly is The Wired, ultimately? It is two-fold: technological, and metaphysical. Concerning the technology behind The Wired, it's some kind of global array of devices which, through some means, fundamentally affect the psyche of everyone on the planet. Through out the show, Physicalistic Mind-philosophy is a position taken as true, specifically that the human mind is electrical impulses in the brain, which can be affected and manipulated like any other electrical system. This presumably involves some sort of machinery that can wirelessly interface with, and therefore manipulate, human brains. However, there is another side to the technology, and that is the digitalization of conciousness itself. To put it more in the semantics used in the show, the complete translation of the human mind into a construct of information contained completely within The Wired, which can exist independent of any brain or body. This seems to be largely the case for most people later in the show, and is actually what happened to Lain's classmate who killed herself in the beginning of the show, so it's safe to presume that this is the universal case. The second dimension of The Wired is metaphysical. To a universal, omniscient perspective which theoretically isn't connected to The Wired, The Wired is simply psyche-affecting technology. However, given the truth explained about how mind's who are connected to The Wired are completely integrated into The Wired, the meaning of The Wired when considering limited, human observers is absolutely fundamental. As explained in Episode 5, everything experienced by someone who is connected to The Wired are projections, or 'holograms', of information stored within The Wired. Given the fact that all of humanity is connected to The Wired, this logically means that the entirety of all experience-able and observable reality is The Wired, and any other conceivable basis for reality is equivalent to non-existence, due to how minds contained within The Wired having no means of experiencing something outside The Wired. It doesn't stop there. The Wired's fundamental link to all observable phenomena goes beyond what is external to the human observer, but actually extends to the mind of each human observer itself. Not only is external phenomena projections of information in The Wired, but every level of mental phenomena that make up concious beings are simply autonomous constructs of information as well. This key fact serves as the basis for how everything, including the minds of human beings, can be manipulated, created, or erased in any way or means. This ties in with who Lain Iwakura is. To preface, Lain Iwakura is an extremely detached individual. Lain is detached not just in a social way, but in a completely fundamental way: She seems to not really 'connect' with the entirety of her own reality, as if something were very subtly... wrong. Coupled with this is how utterly lost she is with in here own mind. I find this very intriguing and relatable because of how similar this behaviour is to my own, due to some aspects of my own mind. I often have my attention detracted into 'clouds' of mental noise that are usually extremely ungrounded in reality, at times bordering on out right craziness. This psychology is quite similar to Lain's own kind of wanderings with in herself. From the get go, Lain Iwakura’s exact identity, in terms of it being singularly defined, is brought into confusion in the first few episodes, particularly when she visits the local nightclub. In scattered dialogues she has with various people that enjoy the night club scene, Lain Iwakura is talked about as if she is two different people. At one point a boy flirts with her, asking her to come back when she is her "wild side". Another point is when the DJ of the club makes some sort of inquiry to her, only to dismiss her because "she wants to play her shy kid side". During a few brief incidents, particularly involving a person who actually commits suicide in the night club via shooting himself, Lain is shown abruptly switching to a much more assertive, aggressive demeanour. At first it simply seems to be the inklings of a Split Personality Disorder. However, episode 6 through 7 add a dimension to the problem. In episode six, Lain Iwakura is shown wondering through projected landscapes of data in The Wired (different from the projections that make up of Tokyo), attempting to find a certain scientist who worked on the technological prototypes of The Wired. In these scenes, she is entirely in her "aggressive" persona. In the beginning of episode 7, Lain speaks with her computer, expounding that there is a Lain in The Wired different from the shy Lain Iwakura, which is who she sees as herself. I feel it's important to consider the occurrences shown in episode 5, involving Lain's sister Mika. As discussed on what the implications of those events were, Mind duplication is possible in The Wired, and considering this, the dialogue at the beginning of Episode 7 begins to point toward the problems with Lain's identity going beyond mere Split Personality Disorder. Inklings of Lain Iwakura possessing some sort of great power of some nature are littered throughout the first 7 episodes. Lain is usually mentioned in almost all the dialogues describing the nature of The Wired, as well as the existence of some sort of 'omnipresences' or 'god' within The Wired. Whenever she is mentioned, she is described as carrying some immense power, or that her will is somehow crucially important. Two particular incidents should be considered. The final scene of Episode 2 involves Lain Iwakura and her normal group of friends hanging out in the night club. At one point, a man shoots and kills a random female. Everyone begins to clear out of the club, but Lain stands transfixed. The man recognizes her for some reason, insinuates that Lain is somehow forcing him to the actions of homicide against his own will, and referred to her as a "scattered god" (At least in my version of the Japanese to English subtitles). The second incident is around the middle of Episode 6, where Lain Iwakura is interrogating the scientist behind the prototypes in which the technology behind The Wired was based off of. Shortly before the end of the discussion, the scientist claims that Lain is extremely important to The Wired, and that she has unspeakable potential. This finally leads us to the smoking gun: Episode 8. Around the beginning, Lain is confronted by her normal group of friends. Her closest friend, Arisu, begins to ask if Lain is guilty of something, though Arisu fails to specify what this exact something is. After repeated questioning, Arisu drops the accusation and wanders off. From this point, Lain has some rather vivid panic attacks involving quandaries about her other "me" in The Wired, worrying about what that "other Lain" did, and confused on the matter of who she is. At the 14 minute mark on, things become clear. Arisu is shown, in her bedroom, sexually stimulating herself to a fantasy of one of her teachers, which is obvious by his imaginary figure standing over her. All of the sudden, from the corner of Arisu's eye, Lain is seen sneering at her from Arisu's bed, tangibly and physically. With a persona clearly different than the 'Shy' Lain Iwakura, the 'pervert' Lain beginnings to mock Arisu for her fantasy, and laugh in response to Arisu's accusation of Lain spreading rumours of her perverse desires, which sends Arisu into an emotional fit. To fill in the rest of the context, Arisu was initially suspecting that the 'shy' Lain started a rumour about her fantasies about this specific teacher, when the 'pervert' Lain actually caused the initial rumors. Simultaneous to this event, the 'shy' Lain is shown, physically and tangibly, lying in her own bed in a fit of panic. What follows can only be described as a artistically surrealistic depiction of a mental breakdown, which involves a conflict between the 'aggressive' Lain and the 'pervert' Lain on who each of them are, or who the "real" Lain is, and, to her distress, the 'shy' Lain is forced to endure. So what is Lain? Lain is the 'admin' of The Wired. Lain is a being capably of creating, erasing, or changing any and all information in The Wired at her will, and capable of existing and moving to any point and place within said information. In other words, Lain is the omnipresent, impersonal god of the entire universe in which humanity exists, as she can freely change all aspects of reality at will. The good question is WHO exactly is Lain Iwakura? Frankly, that's clearly an open-ended question, but from the perspective of the 'shy' Lain Iwakura, Lain Iwakura is a multitude of persons, all of which are also "admins" of The Wired. As to who the initial or real one is, this is impossible to answer, as each one Lain Iwakura fundamentally interferes with all the social and external functions of every other Lain Iwakura, as well as the possibility that every Lain Iwakura can create or destroy other Lains, meaning any one Lain could have been the first. Everything said so far has paved the way to what is the crown jewel of what Serial Experiments Lain offers: the philosophical themes and psychological contexts, which I've somewhat touched upon already. However, before we finally journey into said madness, I feel there must be some final precepts that have to be covered. In philosophy, particularly in the abstract and fundamental categories such as metaphysics or ontology, proper and convincing execution of any idea is an easy performance to fail. The logic behind a particular conclusion can wane to many unjustified leaps and gaps, tend toward insubstantially tangential pseudo-intellectuality, or degrade into nonsense. Generally speaking, the most common instances of anything resembling abstract philosophy in modern media is either wildly exaggerated poor critical thinking, or entirely based upon "what ifs" and unexamined presumption. It is a shame that this is so because abstract and existential philosophy can create some of the most profound experiences that can be conveyed, if done right. It is from this aforementioned point that Serial Experiments Lain draws its greatest virtue: despite the utterly extreme degrees it achieves, everything is grounded with in what can be reasonably deduced or implied from the premises of the plot concerning the world, Lain Iwakura, The Wired, and its effect on humanity. Despite its venture into solipsistic-esque notions and profoundly Lovecraftian epistemological themes, not once is there a vast gap in the substance that spawned such extreme quandaries. Unlike most artistic creations concerning extremely disturbing abstract philosophy, Serial Experiments Lain actually provides a satisfying sense of logic to a degree that completely dissuades any doubt. Not only is the logic of such extreme notions solid, but the premises making up said logic are realistic and scientifically feasible. Most of what happens in terms of philosophical and psychological horror is completely based in highly advanced levels of wireless technology, an absolute understanding of how conciousness works in the brain, which allows for its manipulation, and global-scale virtual reality. True it might be that these extreme levels of technology are offset by innumerable distances of scientific advances that we have yet to uncover, none of the notions present seem so far off that I would begin to disbelieve them. The 'fiction' part of the Science Fiction behind Serial Experiments Lain is highly questionable in whether it truly strays from reality. On good example: I am not quite convinced that conciousness manipulation via electronic interfacing with a brain qualifies as outright fictitiousness. This key point, that the 'fiction' behind the philosophical themes might not be all that fictitious; that there is consistent feasibility, solid logical progression, and realism leading up to, and present within, the incomprehensible fringes that Serial Experiments Lains shots for, is the crux of its unforgettably haunting and traumatic effect. These notions aren't something that can just be dismissed as wildly pseudo-intellectual propaganda, nor as emotional drivel. No... This could actually become a reality one day. ... and so we finally arrive at the monolith of unspeakable magnitude that is the philosophical and psychological contexts of Serial Experiments Lain. The philosophical ideas and themes, and all accompanying psychological contexts that the show ultimately centralizes on, deal with the abstract categories of thought on a comprehensive scale: Philosophy of mind, free will, the concept of the self, reality, metaphysics, and even epistemology-esque notions. This is to say that Serial Experiments Lain attacks all angles of how we conceptualize the true nature of the reality that the psychological self must function in. The direction of horror selects every aspect of how we think and feel about existence itself, which, by virtue of these feelings and thoughts being the basis in which we mentally interact about the world, totally affects one's feelings and thoughts on anything conceivable. The structure of the philosophy is also of great merit. The way the notions are presented, and how they connect, is as if one were approaching a vast web of complexity with no clear point of beginning nor end. Every idea presented is either a seamless progression from, directly tied to, or a direct implication of, another idea. The first theme that develops is the basic metaphysical and ontological thought surrounding The Wired. As I have explained in the sections on The Wired & Lain Iwakura, the definition of The Wired and the "real world" blend until they are absolutely indistinguishable. Minds which connect to The Wired are transformed into digital information in the process. This means that The Wired isn't merely a virtual reality overlaying one's sense perceptions, as that would mean that the mind of the observer would be rooted in another "reality" beyond the virtual reality: There is clear ontological difference. When a connection takes place, the mind of the observer becomes apart of The Wired itself, making The Wired the only reality there is, and thus the ultimate reality. From many different instances in the show, this notion is progressively frayed into a complex network of more specific, sinister ideas. Much of the thought following the aforementioned basic notions blend into Epistemology and further reflections of what reality is to a human observer within The Wired. Serial Experiments Lain introspects deeply upon what it means for something in reality to exist, or specifically, for something in the past to have actually occurred, and meditates on how humans can know of such existences of objects. The entirety of the events in episode 8, where Lain was revealed to be a group of impersonal gods to humanity, as well as many dialogues preceding and follow that episode, show case one ontological idea on the being of events and objects: The basis on which any happening occurs, or pn which any object exists, is human memory. Tamper with the collective memory, and reality is warped, or even destroyed. Further illustrations which will disambiguate this idea are present in the 8th and 13th episode. As gone over before on episode 8, Lain is capable of removing information from human minds on a vast scale. In episode 13, after a traumatic bout of events which lead to a climatic moment of distress for Lain, involving Arisu's sanity snapping under the weight of said traumatic events (watch the episodes to find out why), Lain Iwakura erase all memory and records of The Wired, by extension any memory of herself, from existence. Carefully examining the outcomes of these two crucial events poses a tremendous quandary with an answer of dreadful undercurrents: This would be the fragile dependence upon the human psyche in order for an object or event to exist. If, somehow, any physical trace of an event were to be erased, say, a persons existence, an important part of someone's life, or a discovery that brought change of monumental magnitude to society, and then following that, the annihilation of all records which preserved the information regarding the subject, could it still be affirmed that it actually happened? If, given these conditions, all memories and mental information surrounding said subject were made void, and any awareness of such removal of information, that is, awareness of one's own ignorance, were permanently removed, how would one be able to say if something existed or not? To the human observer, what would be the difference between these conditions surrounding an object or event, and said object or event never even existing? From here on is when things get far more complexly intertwined, splitting into two main aspects. When taking into account the events of episode 8 and 13, as well as the fact that minds that exist in The Wired are just as much projections & constructs of information as the objects that make up the world of The Wired, the undercurrent of the previously described Epistemological notions bubbles up into another tremendous quagmire. The apposite observation that should be made in light of all these mind-numbing thoughts is the subtle Lovecraftian tone. That is, a tonality that, somehow, a humans sense of reality is frighteningly sheltered: Fragile and insignificant in relation to an un-meditatably vaster nature of reality, whose inklings might all but shatter any sense of sanity or well-being. It is a theme that slowly creeps into one's mind at the unravelling of each idea spoken of so far. I feel the final nails in the coffin lie within in the epitome of these ideas. Enter the boundaries of Free Will, and its implications on the concept of The Self. Return one final time to climaxes of the 8th episode. It was shown that Lain was able to erase events from reality due to the ontological nature that the existences of events can only be facilitated by the memory records of human minds... But what did the events of that episode truly imply about what a psyche is? The notion that it is bundles of information with an unspecified level of complexity has been tossed about, but a human psyche of this nature would find a ghastly truth to their existence. This truth is on the ontology behind what ultimately constructs a person's mind, which is the experiences that make up their lives. Specifically, that the construction is ontologically sourced from Lain's being(s), and ultimately her whims. Take a moment and reflect on what built any ideal one might hold in life? Experiences with abuse leading to a desire for compassion in society? A certain sort of wisdom that might lead you from acting upon selfishness and hate, perhaps? Or reflect on any accomplishments one has had? Graduation? A person you were meaningfully intimate with: A mother, best friend, or partner of some sort? How exactly do these things exist to you, and how do they shape your mind? These, ineluctably, are based in memory records. Everything that has happened to us is memory, and therefore, everything that not only dictates our behaviours, but dictates self-image, concepts of who we are, and ways of thinking, are fated entirely from memory. ... And so, with a flick of Lain's fingers, any comprehension of an ideal would be gone. In the instance of a whim, your warmest memory's of your mothers love, your best friends companionship, or of all the good deed's one has done, would turn to nil. The most mind-splitting notion is that any alterations or annihilations of the facets of one's mind would go utterly unnoticed; The change itself becoming erased by the ignorance of such. You could be morphed from a loving saint to blood-thirsty psychopath, or have one's mind revert back to an infantile state with the previous life all but erased, and you wouldn't even know there was a difference. Any sense of there being an independent will, choice, or even freedom of thought, is just an illusion at the consequence of Lain's prolonged absence. An illusion which can be shattered at any moment of her meddling. This shattering of the illusion of a free psyche spells an insanity: That you can not escape this ontology, because the nature of your mind binds you to it, and the only alternative is the nothing of non-being. However, the most horrible disillusionment is not for those of human observers, but for the impersonal god herself, Lain. The Lovecraftian flavors of this ontology of The Wired is a double edged sword, with the show climaxing at the blow dealt to Lain... The realization of a near perfect Solipsism. An underlying instinct of our human nature is that we exist in a world external to us. In order for something to become significant for us, the consequences of it must be outside the meer of mental whims. Engrained within the logical route to instances of meaningful events is that of their independence from us, less they be absolute delusion. Our minds must rely on there being something, or else everything that happens is simply an absurd form of nothing. There has to be a line in the sand between what has happened, and hasn't happened, and the notion of independence of objects is that which draws that line. It is this fundamental nature - this line in the sand - that Lain slowly finds herself bereft of. Each time Lain Iwakura alters the environment and history of The Wired, something wanes. At each demonstration on the ontological nature of the events that the Lain Iwakura cares about, there is a scream. A cry that can not be audibly sensed, nor sourced by any visual perception, for it comes from the breaking of a mind: An unfathomable, terrible wailing of a thousand leagues of the void, drowning all paths to meaning. It is the realization that, upon gazing at the truth of her reality, there is no real distinguishing between Lain's own imagination, and the supposed 'world' around her. Once again, reality followed her wish. All memories of Lain's existence were erased, and Masami Eiri was fired before he ever instigated the 7th Protocol of The Wired (which created the 'admin of The Wired': Lain). It seemed as if everything were back to normal, and it appeared as if The Wired was no more, except for one slight discrepancy... Lain still existed. Now in what seems to be some sort of Limbo in the form of Tokyo, all falsehoods resolve. The entire world in which Lain cared about, in particular, all the minds in which she had a relationship with, are merely bundles of information which exist solely at her word. There are no 'others', nor objects. There is no ontological substance to having 'friends', 'family', 'people', or any sort of conception which would lead to a meaningful life. Any configuration of The Wired would net the same result: All possible experiences are equivalent to imagined illusions of Lain's mind, which are held in only an inescapable nothing. From this, Lain's mind cracks as the finality of her Solipsism-esque existence is disclosed. That is, until she visited by God, or some other being that is actually independent of Lain Iwakura's will. The entirety of the experience that makes up Serial Experiments Lain is completely nonpareil. Not simply unparalleled in terms of any mere genre, but of any medium across the board. It is as such because Serial Experiments Lain is a journey, not simply of a character in a show, but for the mind of the viewer itself. It is fall into a monolithic black-hole of completely unimaginable insanity, and a plunge beyond the absolute fringes of existential madness. It is gloriously epiphanous, yet strikes paralysing, abject horror deep into my soul. It is utterly awe-inspiring, yet haunts me to the bone weeks after the mere mention of its name. The story of Serial Experiments Lain is an interesting complex one to say the least. It starts of by a student commiting suicide saying she does not need to exist in this world anymore. The following day the students receive an email from the dead student and at first they think it is spam mail but that turns out not to be the case. Pretty much the whole show revolves around The Wired (or their version of a more advanced Internet) and how humans use it as a form of communication. The main colour pallete for Serial Experiments Lain uses a lot of blacks, purples, reds and yellows. The shadows pretty much consist of most of the colours listed above. For its time, the art style overall was great. Serial Experiments Lain doesn't rely heavily on orchestral elements and it doesn't have to. The atmosphere already sets the mood for you. There are subtle ominous sounds every now and then. Lain is an interesting character to say the least and as much as I want to give away spoilers I won't. Lain starts of as an anti-social girl if you will, she is a very shy and doesn't really show any emotion. If you do watch episode 3, that's when things start to really pick up. I was left like :O and you will see why. There are more characters, like Lain's so called friends....well really she only has 1 friend out of that 3 girl group, Lain's family, the Men in Black and a secret organization called 'Knights of The Eastern Calculus'. This anime is influenced by philosophical subjects such as reality, identity and communication. Those things are key to what make Serial Experiments Lain such an excellent anime. With Serial Experiments Lain being such an in-depth, confusing anime, sometimes you do feel lost and have to try and regain composure, regain your thoughts if you prefer to look at it like that. Some things may not make sense at the beginning, but then an episode or so later things will start to make sense or you will pick up something from a previous episode and slowly put together the pieces. As a whole I really enjoyed Serial Experiments Lain. 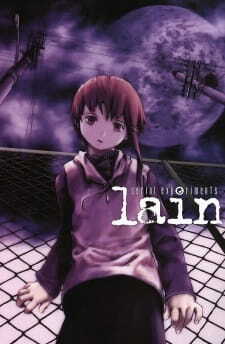 So overall just to reiterate, Serial Experiments Lain is not an anime for everyone, you feel lost most of the time, this anime is a thinker (meaning you have to be using your brain to comprehend all of it), many adult themes (not including any of that naughty stuff ;), interesting characters....and in some ways very mysterious, has an odd aura surrounding them. How gory is Serial Experiments Lain?